Presenting issues and real-life examples within the ophthalmology industry including ocular diseases, drug delivery, pre-clinical and clinical trials, computer technologies, therapies for diabetic macular oedema, glaucoma, development of efficient drug delivery systems and current trends in novel non-surgical interventions. The Opening Address will be presented by Amir Shojaei, Vice President, Therapeutic Area Head, Ophthalmology, from Shire. Gain a deeper insight into the novel approaches to the treatment of ocular diseases, involving the challenges in drug development for dry eye disease such as the rationale behind lifitegrast and real-life examples including four 12-week efficacy and safety studies. Get involved with the exclusive Panel Discussion being chaired by Almira Chabi, Senior Director from Santen Inc with panellists from Roche and PharmaMedic. They will be discussing the applications of emerging computer technologies to drug development, involving blockchain in pharma and the changing regulatory landscape of emerging technologies in ophthalmology. 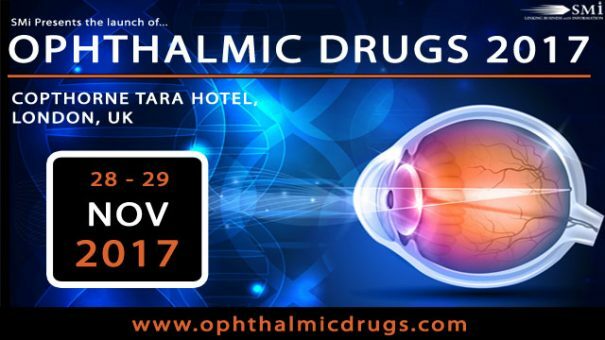 Not only will Ophthalmic Drugs highlight the newest surgical techniques and provide exposure to the latest technology and products, it will also place influential people, face to face who can help build a solid foundation in several key areas including, new ocular drugs, therapies for glaucoma, clinical results from long /short term studies and more! Shire’s approach to meet unmet ophthalmic needs has been successful by developing lifitegrast, after being evaluated in four clinical trials. They have plans filing lifitegrast in multiple global markets by the end of 2017. Examine real-life case studies exploring clinical results from four 12-week efficacy and safety studies, and one long term (1-year) safety study and discovering unique properties to preservative free drugs. Market research and customer insight has indicated that our delegates are keen on hearing about your latest services and product offerings. Are you available this week? We’d be happy to give you a call to discuss your participation as either a sponsor joining our industry speaker panel below, or as an exhibitor. Please let us know the best time to touch base.